Enrol now to attend your local Reflections on Practice meeting and join over 200 maths teachers from across Ireland who have already signed up to learn to teach through structured problem-solving. 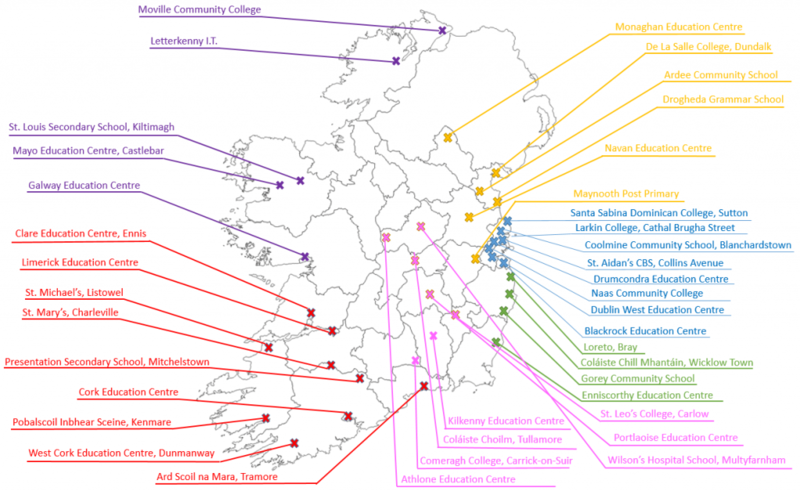 To make it easier than ever for you to participate in Reflections on Practice, this year we’ve organised lots of meeting venues in schools and education centres across Ireland. We’re also being more flexible with when meetings take place – they can happen directly after school or in the evening. To find out details of your nearest Reflections on Practice meeting, click on your local region in the map below. If you don’t see a meeting venue that suits you or your school, you should still enrol and specify a new meeting venue which is convenient to you on the enrolment form. We’ll be in touch and organise for one of our facilitators to mentor your lesson-study group. Find out the time and date of your local centre’s first meeting here. If you miss the first meeting email stephengammell@projectmaths.ie to find out if you can still join your local group.